Five of India’s top swimmers – Virdhawal Khade, Sandeep Sejwal, Shikha Tandon, Rohit Havaldar and Rehan Poncha – took part in the 51st MILO/PRAM Malaysia Invitation Open at Kuala Lumpur, Malaysia from 1-4th May 2008. 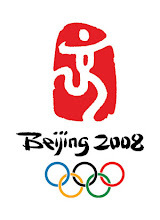 This event was a FINA recognized Olympic qualifying tournament. The Indians put up a great performance. Virdhawal Khade and Sandeep Sejwal were the stars as they went on to swim under the Olympic qualifying time in three events – 50, 100 and 200m Freestyle – and two events – 100 and 200m Breaststroke – respectively. Virdhawal is the first ever Indian swimmer to swim under the Olympic qualifying time in more than two events. Virdhawal’s and Sandeep’s performances at this meet have put Indian swimming on the world map as they both are currently ranked in the top 150 in the world. Also, for the first time in our history we have an Indian swimmer who is on the verge of breaking the 50sec barrier in the 100m Freestyle and the 1min 50sec barrier in the 200m Freestyle. 16-year-old Virdhawal Khade, who was the first and youngest Indian swimmer to qualify for the Beijing Olympic Games, won three gold medals with new meet records – 50 and 100m Freestyle and 50m Butterfly – and two silver medals – 200 and 400m Freestyle. 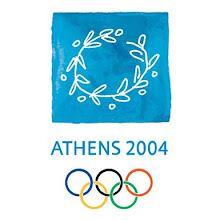 He also went on to create four National records – 100, 200 and 400m Freestyle and 50m Butterfly. 19-year-old Sandeep Sejwal won two gold medals with new meet records – 100 and 200m Breaststroke – and one silver – 50m Breaststroke. He went on create National records in all his events – 50, 100 and 200m Breaststroke. 23-year-old Shikha Tandon also had a great meet. She won a gold medal in the 100m Freestyle and a silver medal in the 50m Freestyle. She created National records in both her events – 50 and 100m Freestyle. In the 50m Freestyle she missed the Olympic qualifying mark by 0.05sec (it takes a person longer to blink). 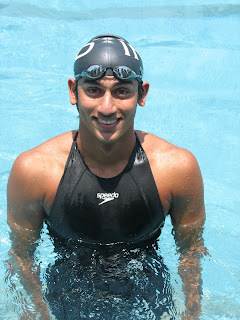 21-year-old Rehan Poncha went on to win two gold medals – 200m Individual Medley and 200m Backstroke – and two silver medals – 100 and 200m Butterfly. He created a National record in the 200m Individual Medley. 18-year-old Rohit Havaldar won one silver medal in the 1500m Freestyle and one bronze medal in the 200m Backstroke.